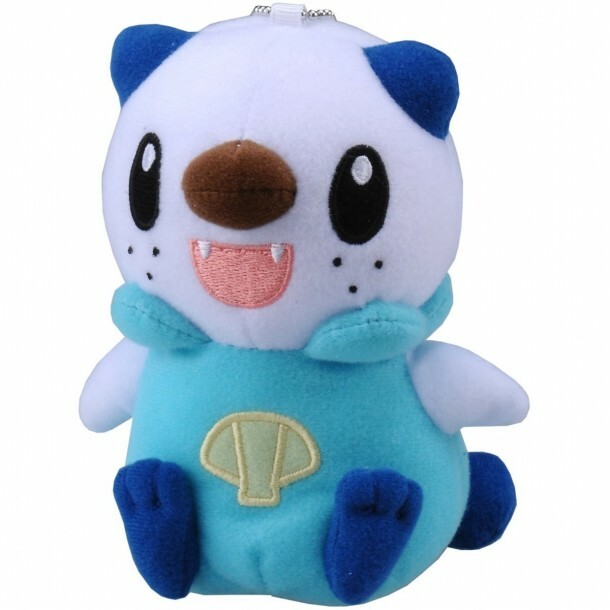 Mijumaru/Oshawott is a bipedal sea otter-like Pokémon, primarily light blue, dark blue, and white in coloration. Oshawott has a rounded, spherical white head, with small, triangular dark-blue ears to the sides. Oshawott's eyes are large, dark, and ovoid in shape; its dark-orange nose is shaped like an oval on its side. Imported from Japan. Cute and collectible. Perfect as a gift for all pokemon fans. Limited availability. Talking plush with 4 different expressions.